The Marlins were 11-1 heading into their game at PNC Park this evening. They certainly didn’t play the part. The Pirates advanced runners along the base paths at free will with Andrew Miller’s slow delivery and poor pickoff move. The Pirates stole 2 bases and took advantage of 3 wild pitches and a balk. Adam LaRoche moved from 2nd to 3rd by tagging up on a short fly ball to center. Adam LaRoche hit a 2-run single in the 5th and Nate McLouth hit a 3 run home run in the 6th to break the game wide open. 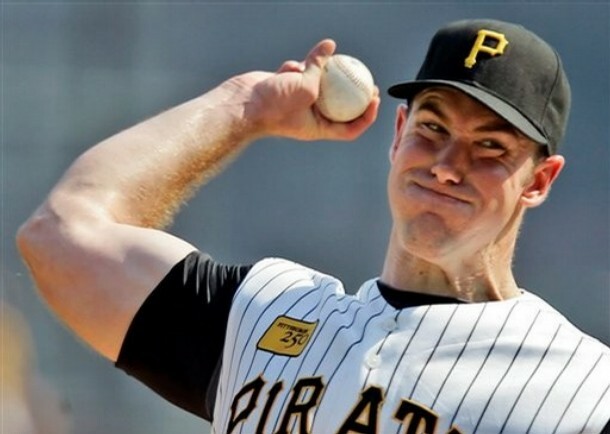 Ross Ohlendorf had a strong performance to earn his first win as a Pirate. He gave up 2 hits over 7 innings. Tyler Yates and Jesse Chavez closed out nicely to secure the 8-0 win. This was the Pirates 4th shutout win. They only threw 5 all last season.